McDonald's has ended its creative and media agency review by consolidating its nearly $1 billion advertising business with Omnicom, marking the end of a 35-year relationship with Leo Burnett. DDB beat out the Publicis Groupe shop in the review, which launched in April and sparked controversy across the industry. The announcement comes as welcome news for both Omnicom—which recently emerged as the big winner in AT&T's creative and media agency consolidation—and DDB, which has now recorded its biggest new business win under North American CEO Wendy Clark. "Exactly 18 weeks ago today, we received a dream brief from one of the most iconic brands in the world … to create 'the agency of the future,'" Clark said in a statement. "The best and the brightest talent across multiple Omnicom agencies came together over the last 4 months to create, operationalize and deliver on that brief. The result is a customized agency built with intelligence at the core, to fuel brilliant creative work, that's delivered at the speed of the marketplace at an efficient cost. We are thrilled and honored to be selected and excited about immediately creating impact for McDonald's business." McDonald's representatives did not respond to multiple requests for comment. A Leo Burnett spokesperson said, "While this news is certainly very disappointing, we're extremely proud of the Power of One thinking we brought to McDonald's. The work we've done over the years for McDonald's has been nothing short of spectacular, and we are particularly proud of having been partners throughout their business turnaround. We wish them continued success." The fast-food chain had been working with Leo Burnett for more than three decades and pitted the two Chicago-area agencies against each other when it was trying to redefine its brand in 2014. The result was last year's "All Day Breakfast" effort, with creative by Leo Burnett and supporting work from DDB. 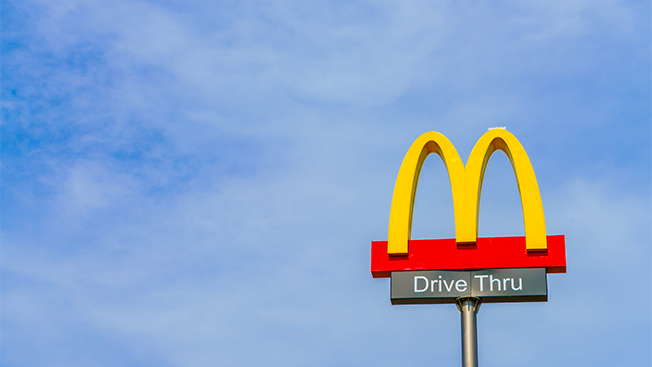 Earlier this year, the review provoked a contentious conversation regarding some specific demands McDonald's made of its future agency partners. Most prominently, the chain allegedly insisted the agencies operate at cost with all profits tied to unnamed performance goals. WPP dropped out of the review as those claims went public, though a spokesperson declined to elaborate on the holding company's decision at the time. Despite struggling to retain market share in recent years, McDonald's remains one of the biggest single advertisers in the U.S. According to Kantar Media, the chain spent roughly $820 million on measured media in 2015 and $195 million in the first quarter of 2016.